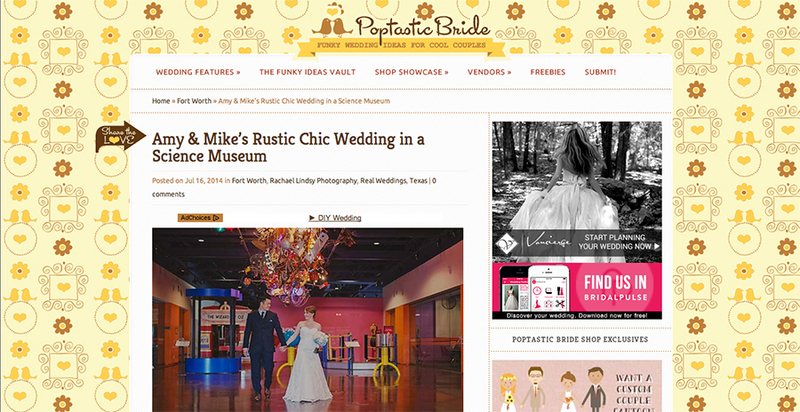 Mike and Amy's beautiful Fort Worth Museum of Science and History wedding is featured on Poptastic Bride today! You can check it out HERE. You can also view my original post HERE and their Fort Worth engagement session HERE.